1. 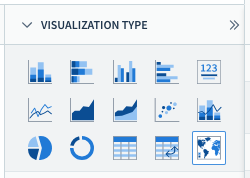 Create a new chart and select the map chart icon. 2. Choose the type of geo object you would like to use to create your map chart. 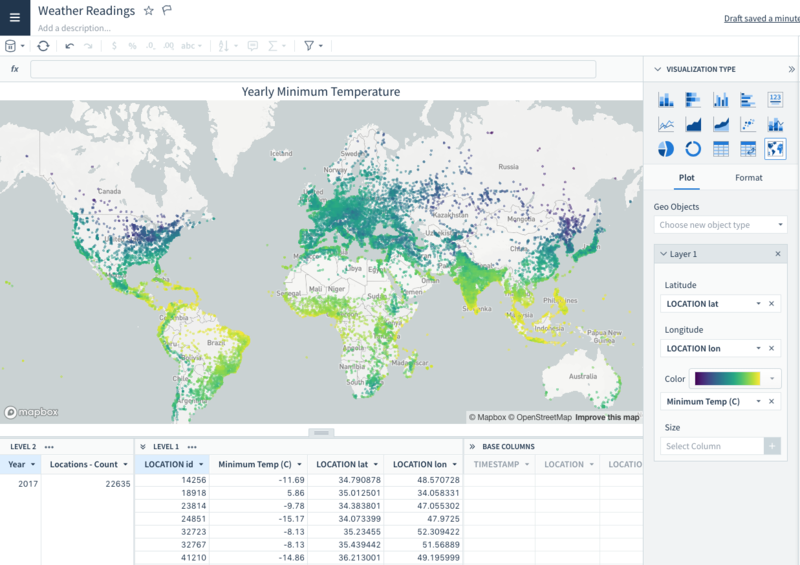 You can map points based on latitude and longitude or map areas defined by GeoJSON. 3. Once you define your input type, the first layer will appear. You can then select the column(s) that define your map coordinates. Optionally enter in columns to determine the color and size of the points on the map. 4. 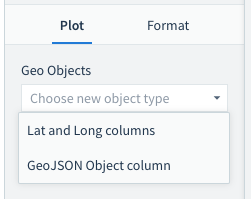 To add another layer to your map, choose the type of geo object you would like to use to create the next layer.